Our trip north was A LOT more productive than I imagined it would be. I sold "Unpredictable Hopes", "A-Three", and "Urban Sniper", and I have a new commission that will be called "Big Star Lake." Often times I get asked, "Is it hard to sell your work?" Yes and no. Yes, I get attached to it. Yes, I pour my heart into it. It is part of me in a way. But no, because the thought of other people enjoying my work thrills me. It also makes room for new work. I see the “good” in this GOODBYE and I rejoice in it. Some of my favorite pieces now have NEW homes! The new blank canvases are inviting friends for me. The possibilities are endless. What color scheme do I want to explore now? What size? What is the most pressing among my ideas? What's most interesting to me? Do I want a change of pace? Or do I want to make something similar to my last piece? Working in series is a great way to grow. By series, I mean there is some unifying thought that you keep coming back to in different ways. The longest series I have ever done is my Journey series, which ended up having subgroups. Now I have been working on these Military themed pieces over the last two years. This series is not done, but I am taking a bit of a pause to refresh. 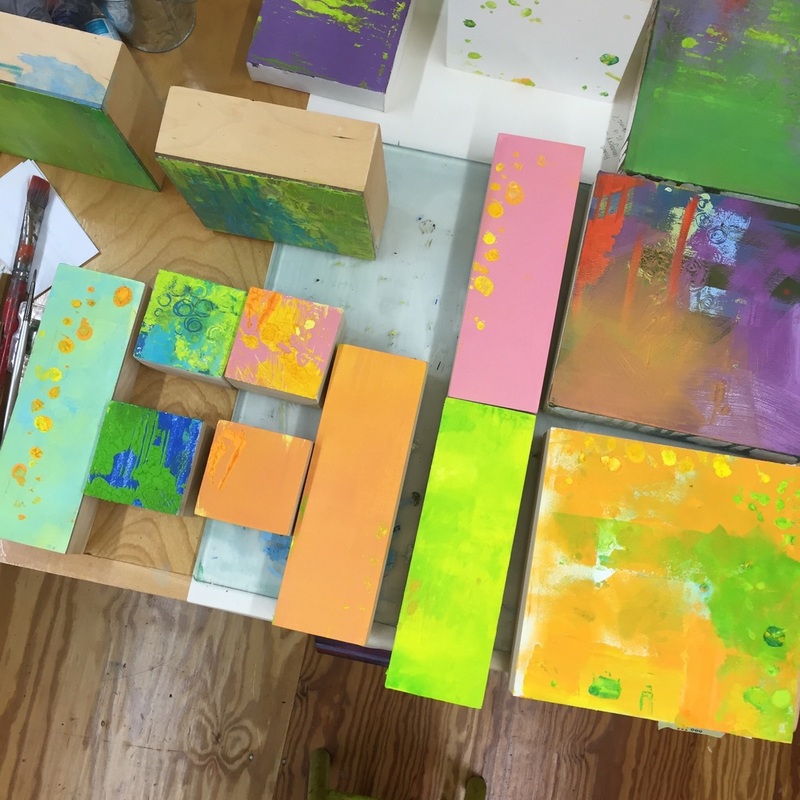 I have had some productive days in the studio that have been all about color and texture. 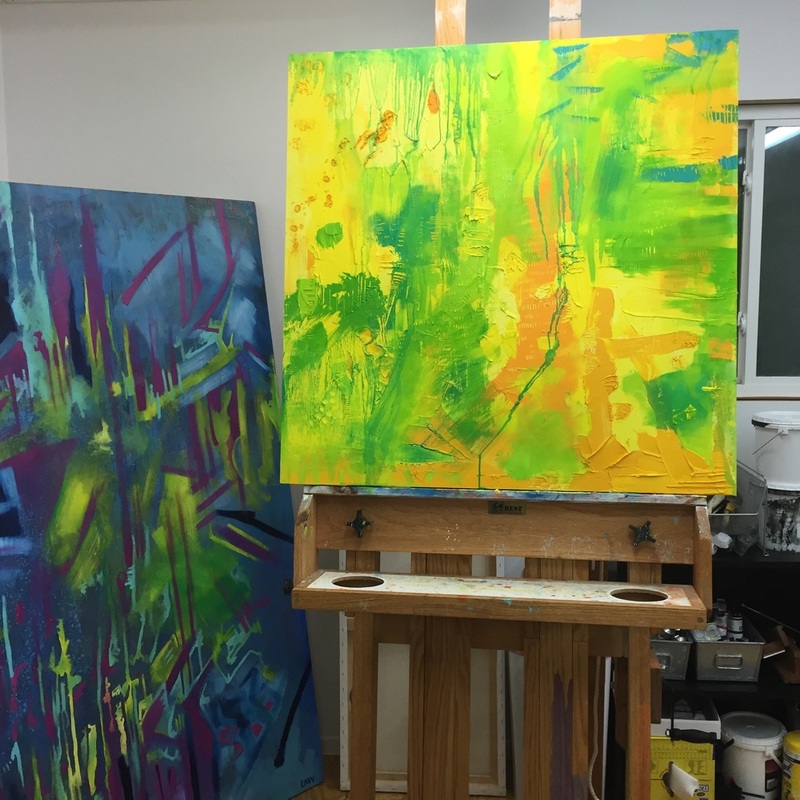 I have been exploring cold wax mixed with oils, which I love! I am also trying different color schemes. 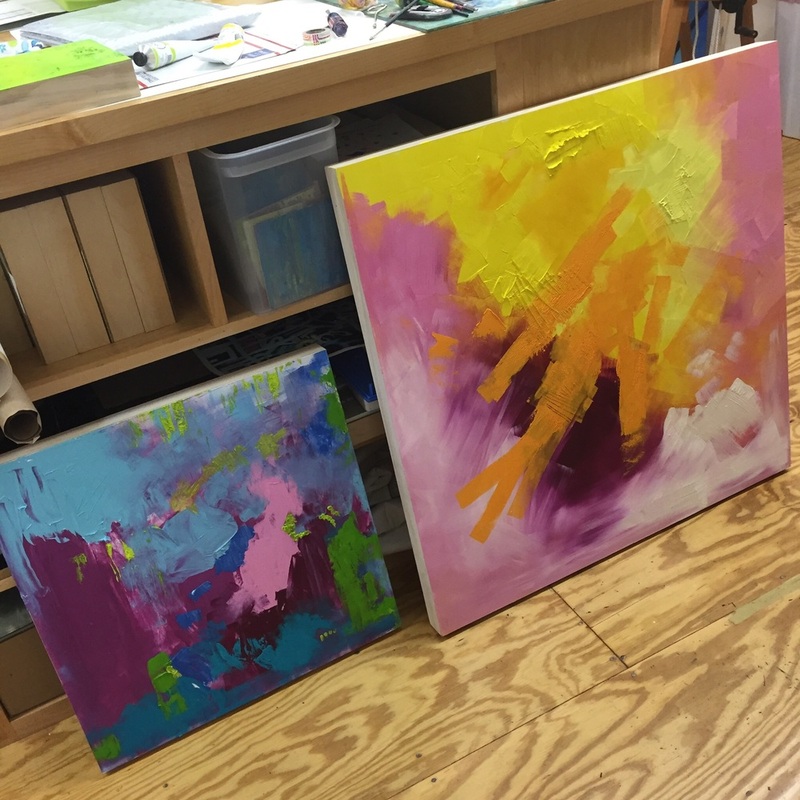 I have finished 3 separate 24"x24" pieces. Sometimes things just come together. All fun things! Oil and cold wax works in progress. What's currently on my easel. A 30"x30" work in progress. I also have a really exciting HELLO to announce! And I would love EVERYONE's help. I am going to be doing a new piece about the seasons. It will be comprised of 12 canvases, 36"x9". Each one will represent a month out of the year. I want to incorporate words that people associate with each month. So this is where I would LOVE your feedback! I am going to pick 52 words...one for each week of the year. 4-5 per canvas. My plan is to paint the words using the symbols representing Morse Code. I was first interested in using Morse Code in my college work, but this will be my first time using it in my oil paintings. In the comments below, please put the month and the word or words that you associate with that month. Thanks!